See Not-Dairy for details of soya yoghurt but make sure you use a non-sweetened version. Alpro is great for anything sweet and readily available but no good for this; try Provamel or Sojade. Pressing the liquid out of the cucumber is a really important step else the dip will not be creamy. No need to waste the cucumber peel, seeds or juice; use solids in a salad and the juice in a dressing. 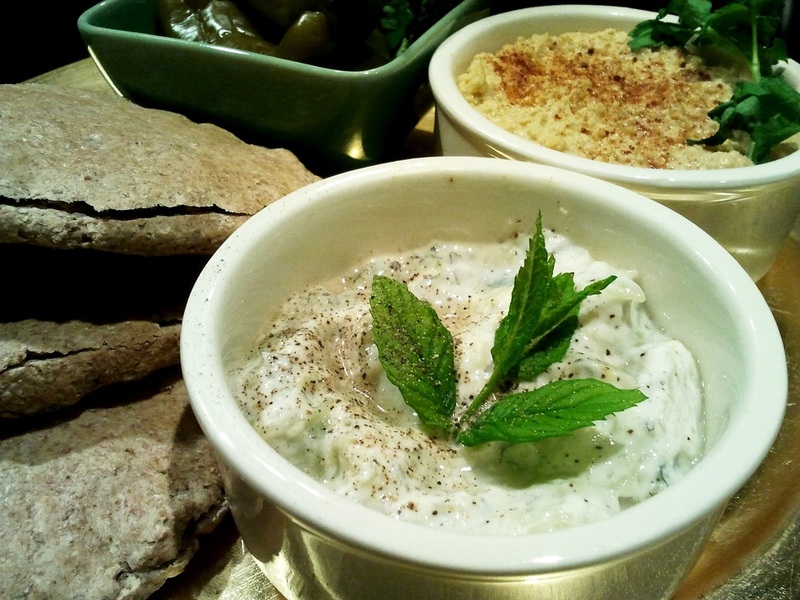 Use this dip to counter the heat of pickled chillies and serve with houmous, pitta and falafel!